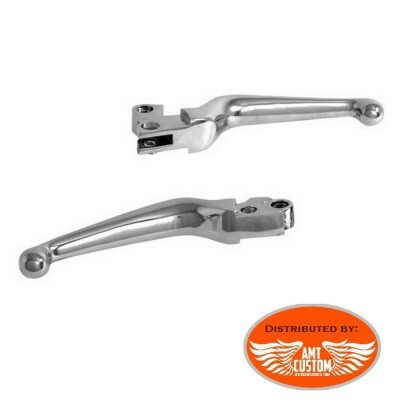 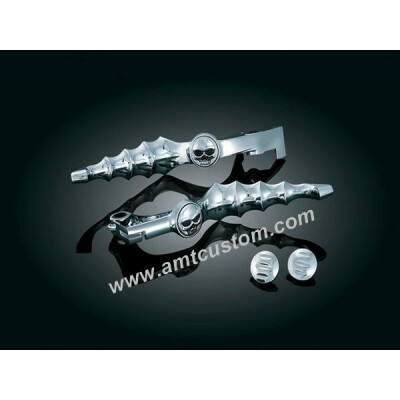 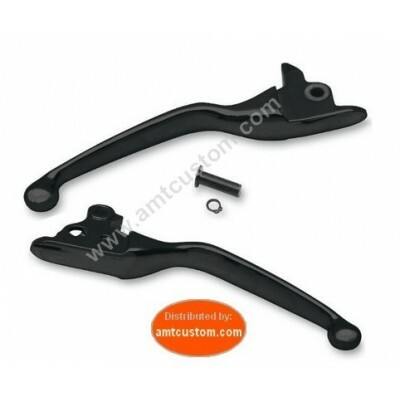 Pair of handles on a motorcycle Live to Ride Available for 22 and 25 mm handlebars. 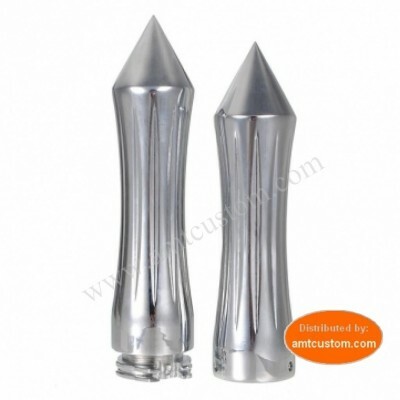 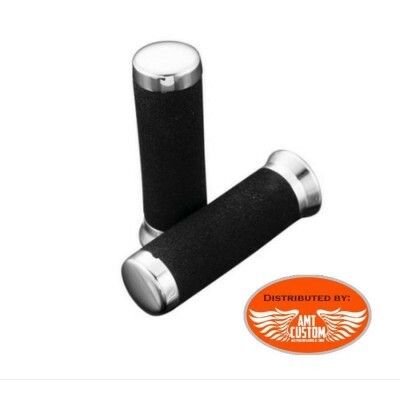 - See tab "More info"
Pair of handles foam 25 mm. 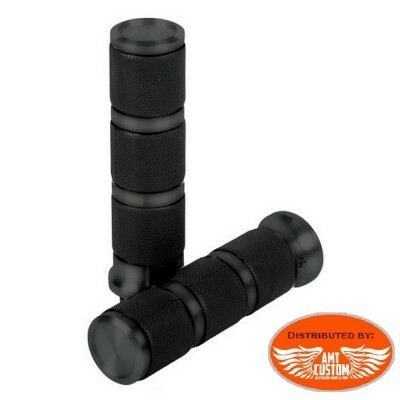 Pair of foam handles. 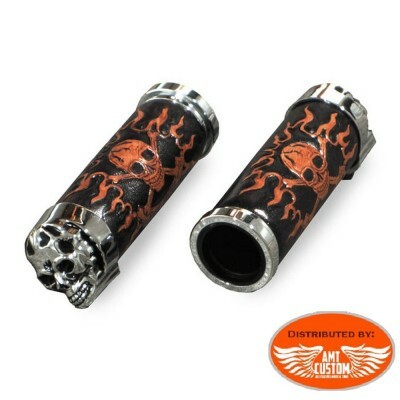 Available for 22 or 25 mm handlebar. 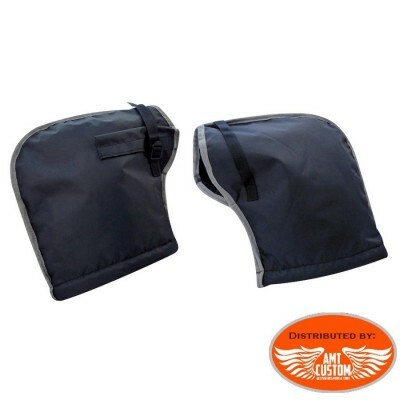 - See tab " More info" - The handles are delivered without cables. 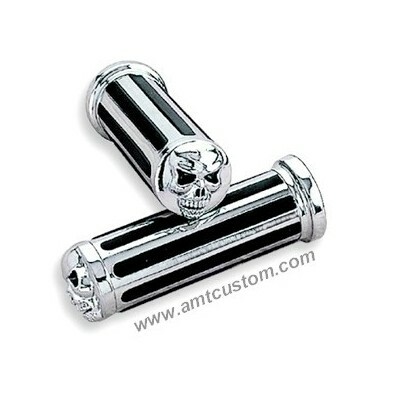 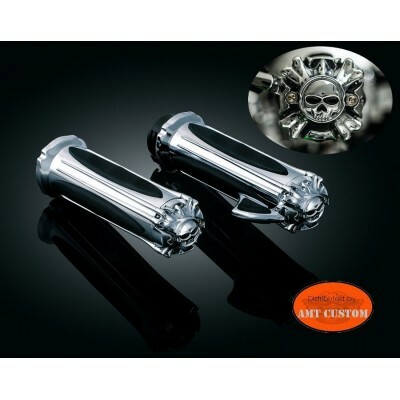 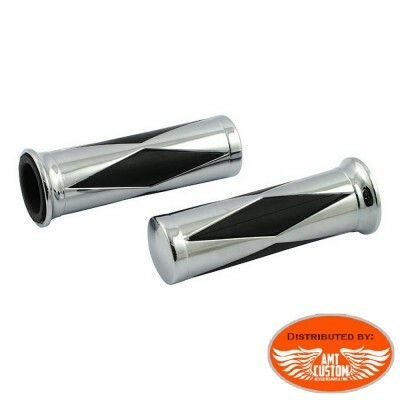 Pair of handles black and chrome Available for handlebar in 25 mm. 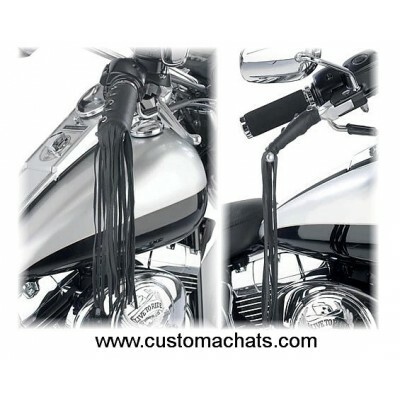 - The handles are delivered without pull cables. 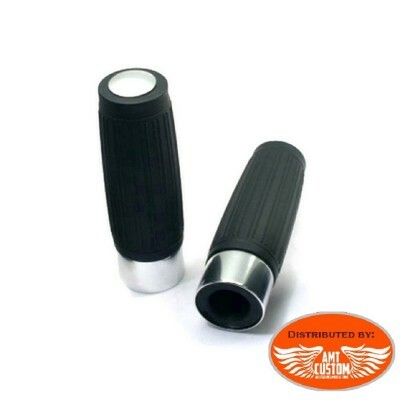 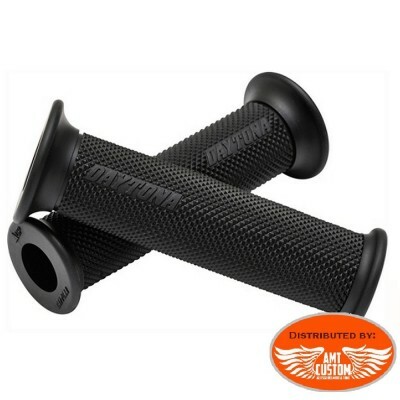 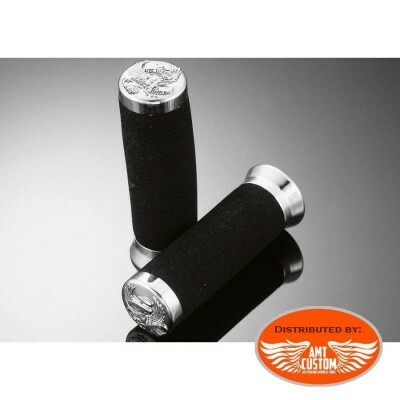 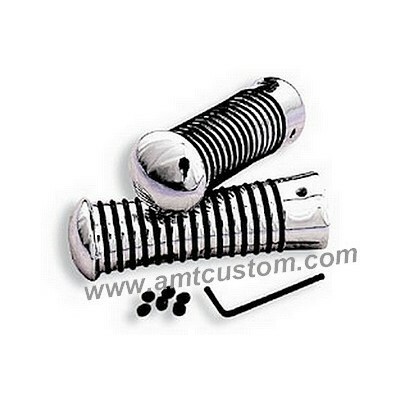 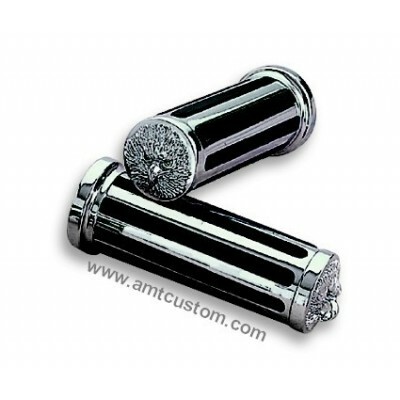 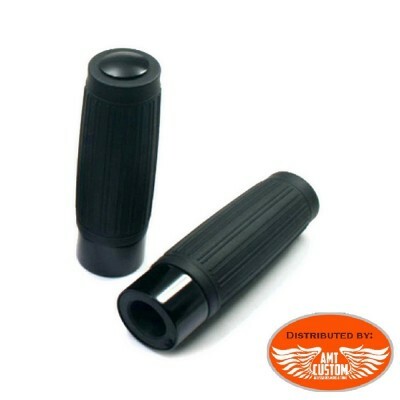 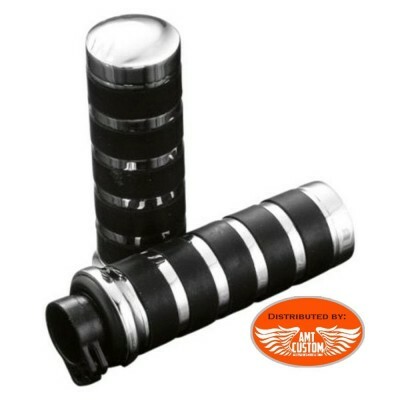 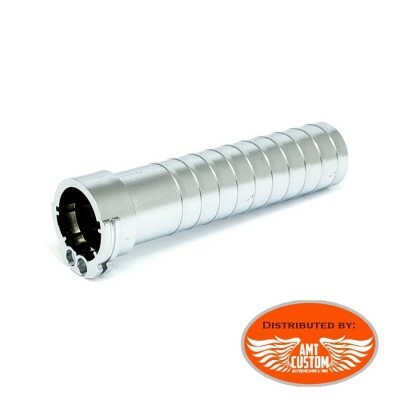 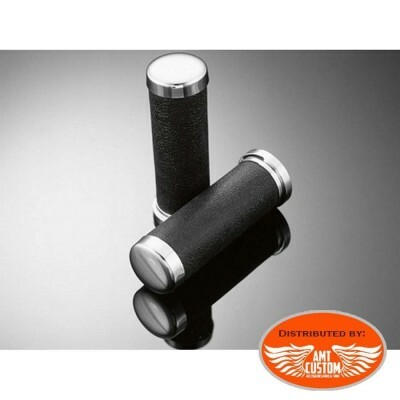 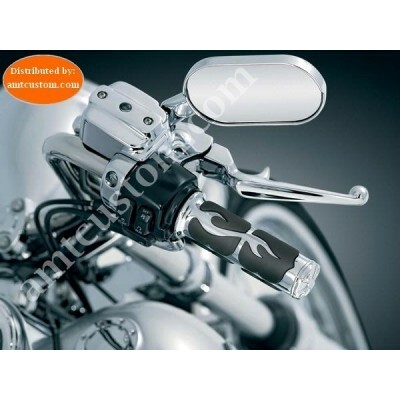 - See tab "More Info"
Pair of comfort grips black and chrome Available for handlebar in 25 mm. 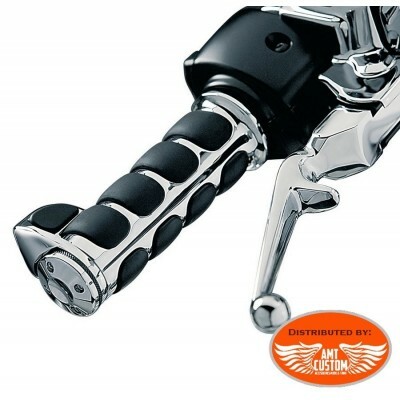 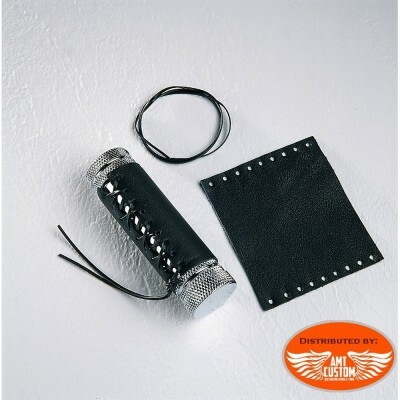 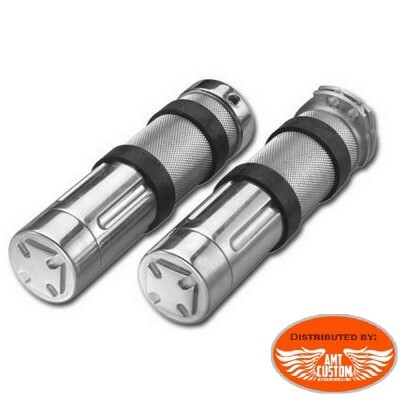 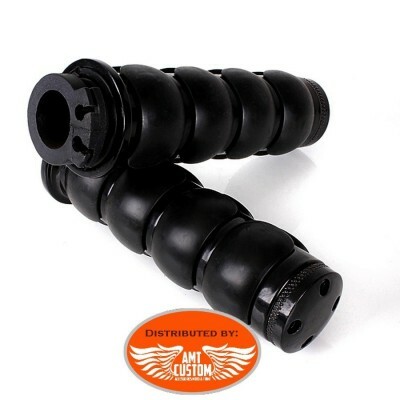 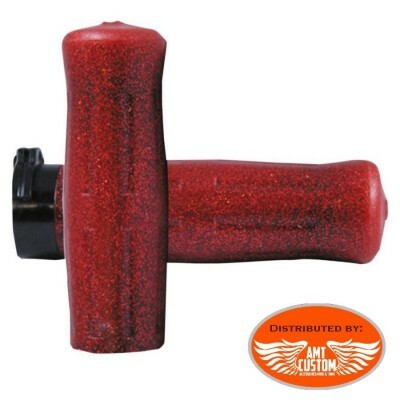 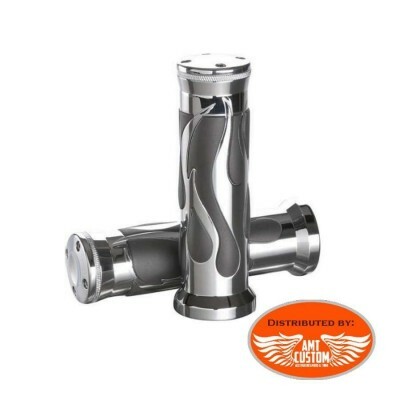 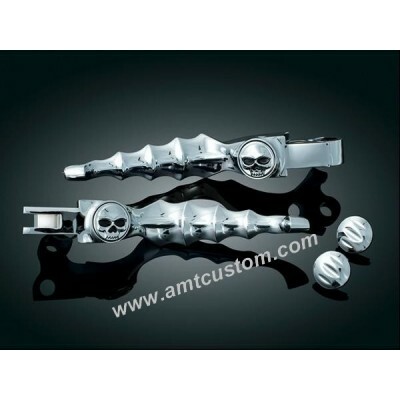 - The handles are delivered with throttle assembly - See tab "More Info"
2 motorcycle handlebar grips 22mm (7/8") and 25mm (1 ") - For 22mm or 25mm handlebar Harley, Honda, Yamaha, Suzuki, Kawasaki, BMW, ... - Throttle incorporated into the handle on the right. 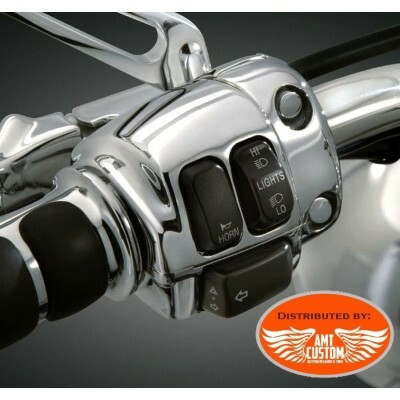 - See "MORE INFO" tab. 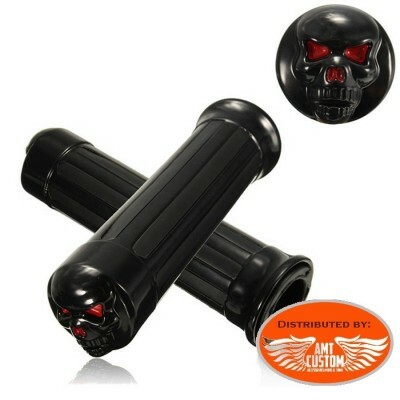 2 leather Skull handles. 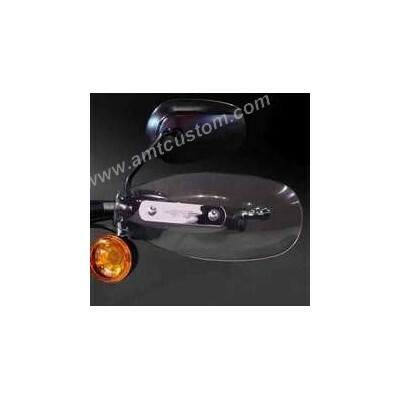 - These 2 handles are mounted on your 25mm diameter handlebar ... - The handles are delivered without pull cables. 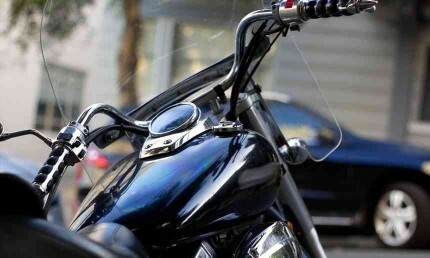 - Leather cushion. 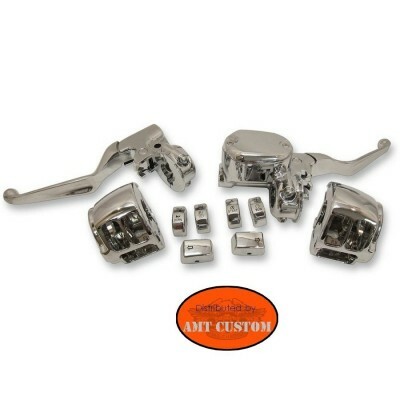 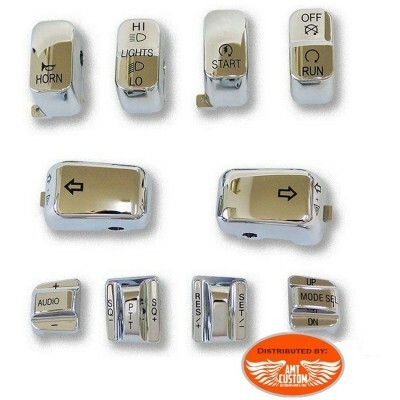 See tab "MORE INFO"
Handlebar Control Kit for Sportster .. - For New Sportster from 2014 at today witch single-disc ABS ... - View "More Info"